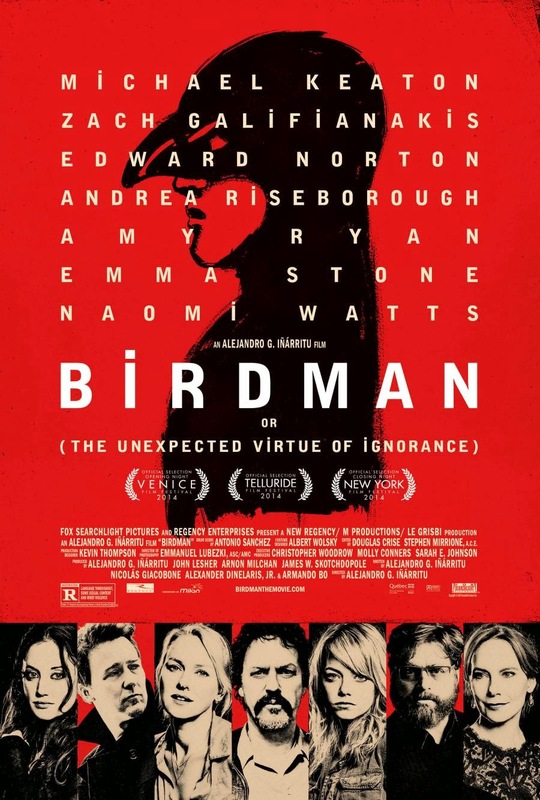 Having already swooped up 128 awards and counting, 'Birdman' is set to be the front runner in the upcoming Oscars race with its nine nominations. But what makes this film so unique? Centred on a washed up actor Riggan (Michael) who was popular years ago as a fictional hero 'Birdman', the film chronicles the three days before his new Broadway show opens. Trying to revive his career whilst juggling family at the same time, Riggan hears voices which at times drives him out of control. When his lead actor who suffered an injury is replaced by Mike (Edward Norton), the attention is shifted onto him, who also has an interest in his daughter Sam (Emma Stone) although is already with fellow actress Lesley (Naomi Watts). With everything on the line, will Riggan's new play be a hit or will he lose absolutely everything? At around two hours long, the movie does drag on and at the halfway point, I was rather bored, but what kept me tethered was the immaculate performances and the diverse and complex themes that were explored. 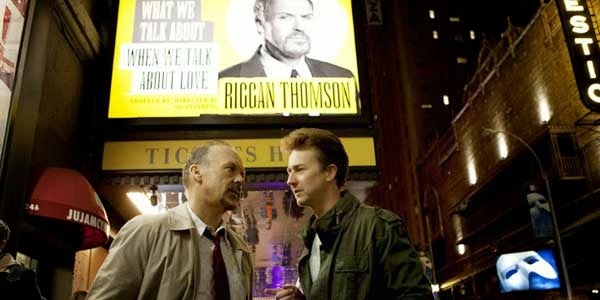 Despite an all star cast, Michael Keaton steals the show and is extremely powerful in his moments of vulnerability contrasted against his extremes of violence. Emma Stone also shines in her grungiest role to date. What is to note is that even the characters with a short screen time manage to inject an essence of strength and personality, most noticeably Lindsay Duncan's Tabitha. Riggan's inner demons/voice/ego arouse a plethora of discussion regarding his mental stability, matched with sweeping visuals and surreal moments that give it a distinct quality and seemingly justified, though is utterly bizarre. As the premiere draws near, tensions grow and the anticipated climax peaks to a dramatic 'on stage' performance, which finishes with a cathartic hospital scene and the ambiguous final moments is somewhat uplifting. Also to note is the very noticeable score that accompanies the movie in a very dynamic way, that feels like you're watching a live performance throughout. Also stars Zach Galifianakis, Andrea Riseborough and Lindsay Duncan. 'Birdman' has one of the strongest cast ensembles in film this year and is a movie that has a strong visual and thematic style. Unfortunately, it is not for everyone. Whilst I could appreciate the sweeping camera work and the phenomenal performances, I was left slightly bored.